If you thought bagpipes were solely confined to Scotland and Ireland, Anxo Lorenzo will prove otherwise. For not only is the instrument found throughout Europe, it's also travelled as far afield as North Africa and the Persian Gulf. Anxo himself represents the open-eared piping faction to be found in Galicia on Spain's Atlantic coast. 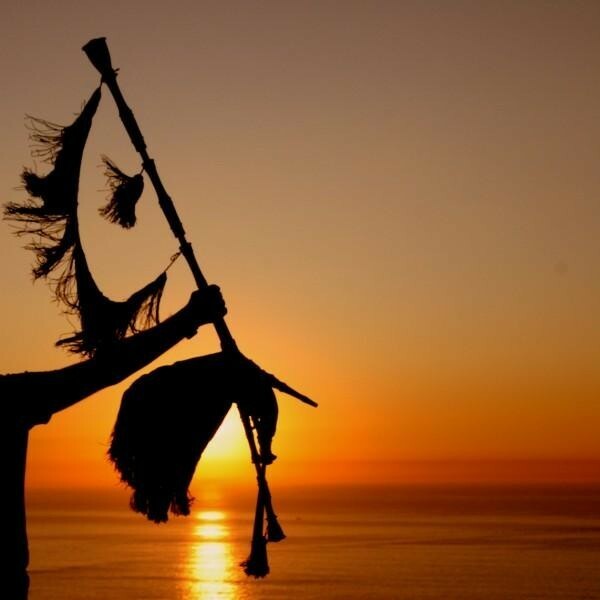 It's a region with close and indisputable links with the Celtic world; indeed, Anxo can name Irish music titans like The Chieftains and Lunasa among his more notable collaborators. The plumpness of his contacts book emphasises that this is a man who isn't strictly faithful to his home territory's traditions, preferring to skip freely across borders and genres, while also perfectly at ease with extending beyond the acoustic world. And he's an exhilarating performer, his fast fingers tracing ridiculously intricate melodies; when top gear is reached, it's impossible to fathom how a human brain can actually work that fast." 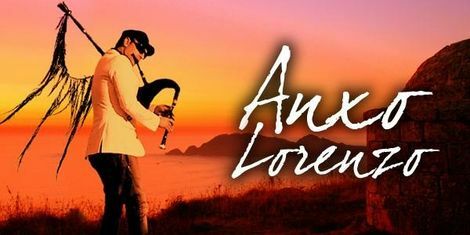 "It is a difficult task to define a musician simply through the use of words and especially so when the musician is Anxo Lorenzo. An artiste who has all the qualities that enable him to touch the essence of music itself, marking it with his own personality and moulding it at his whim achieving the spectacular results on show in his new album, "Tirán". 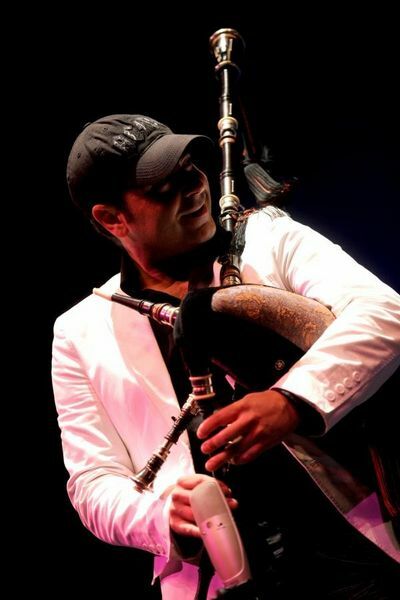 In his universal experience as a piper, he has collaborated in many musical projects fusing the traditional sound of the pipes with a great array of styles and genres from jazz to electronic, pop, rock, or flamenco. In his hands, the pipes are unfettered and endowed with endless possibilities thanks to his genial flair.
" 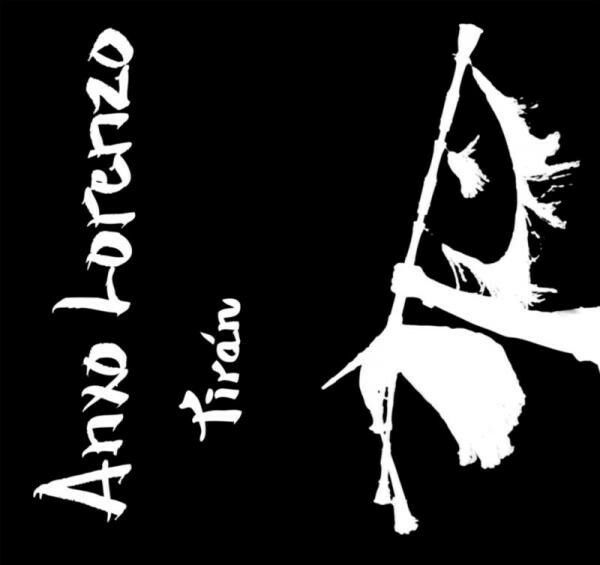 In “Tirán”, Anxo Lorenzo takes the pipes and his own skills to their limit demonstrating that everything is possible in music. 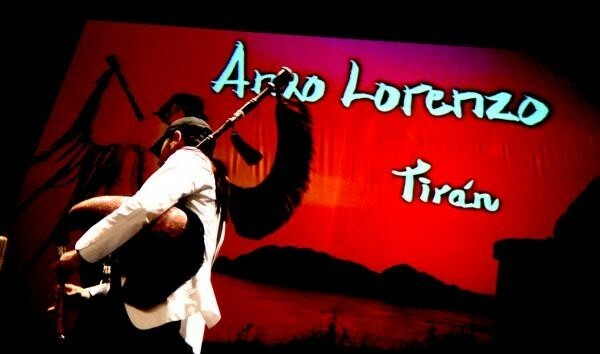 Produced by Pedro González and accompanied by his band, formed by Xosé Liz (bouzouki), Milla (percussion), Begoña Riobó (violin), Álvaro Iglesias (double bass), and the recent arrival of the Irish fiddle player, Eoghan Neff, the album has 11 tracks that are a mix between composition and tradition from the Galician Rías to the Seas of Ireland. A demonstration of virtuosity and sensibility in equal measure and enhanced by the participation of the famous Northumbrian piper Kathryn Tickell, the strings of Pancho Álvarez and Luis Peixoto, percussion by Roi Adrio, hurdy-gurdy by Anxo Pintos, accordion by Jorge Arribas and the Hindi style group Om/Off.